Dr. Sheth, How Many Poems Do You Prescribe Each Day? The autumn leaves fall dancing. to wash away people’s hate? I love the August sun. I remember ten billion years ago. 400. If a man reads a book because it interests him and reads in all directions for the same reason, his reading is pure and interests me. 500. The poor play a crucial role in the world. They are the ones who really tell us what the world is. 600. Military occupation is taken as an acceptable given and is scarcely mentioned; Palestinian terrorism becomes the cause, not the effect, of violence, even though one side possesses a modern military arsenal (unconditionally supplied by the United States), the other is stateless, virtually defenseless, savagely persecuted at will, and herded inside 160 little cantons, schools closed, life made impossible. Suzy Shepard and Barbara Sheets met in 1975 at a play-in start-up group for newborns and their mothers. Nothing could have prepared Suzy and Barb more for coping in life than what followed – leaving the formal play-in group and deciding to meet together weekly for forty-three years and counting. Suzy became a social worker and mother of four and Barbara a yoga instructor and mother of five. Through humor and tears, they tell the story of true love friendship soul partnering — the heroes’ tale of coping with career, parenting, marriage, politics and death. Bring your funny bone, Kleenex and seat belt to this meeting about turning life’s stumbling blocks into stepping stones and doing this through a friendship soul partnering. The model may be worth copying. “So, Rabin, did he make it even through a third of Gandhi’s Collected Works? And did Shimon Peres invite Gene Sharp to give workshops to the IDF elite, with handouts for all on the 198 methods of nonviolent action? And when Begin came to the U.S. did he arrange a tête-à-tête with Diane Nash? And does Netanyahu take practical inspiration from the life of Badshah Khan? And do the teachings of the Besht get ample time in the training of the paratroopers? And the Air Force pilots, do they learn to recite gathas from Thich Nhat Hanh? And for the Palestinians did Dov Weinglas cultivate compassion like Aung San Suu Kyi? I read Raab’s book right about the end of my time at SLU. Moving on to Maryville University, I found a way to assign Natalie Goldberg’s Bones book in my Humanities classes—mandatory composition 9wide-ruled) notebooks. I also started teaching my own classes off-campus, typically with a writing (hence, notebook) theme. How can we imagine a notebook? Wendy, a Saint Louis University alum, and Xavier, a French native, met in Shanghai, a metropolis that has gained importance on the world stage over the last decade. The two met in this city while pursuing their corporate careers. 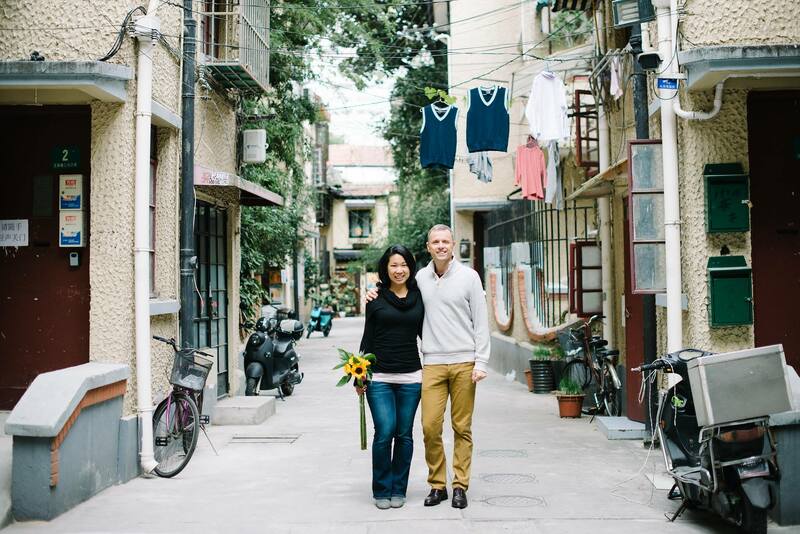 After over a year of practice to live a more simplistic life, Wendy and Xavier bid farewell to both their corporate jobs and lives in China, after 6 and 14 years, respectively. They will share their insights on life in Shanghai, on their journey to pare down their life possessions to a suitcase and a backpack each, and their journey around the world, including traveling on the Trans-Siberian rail.